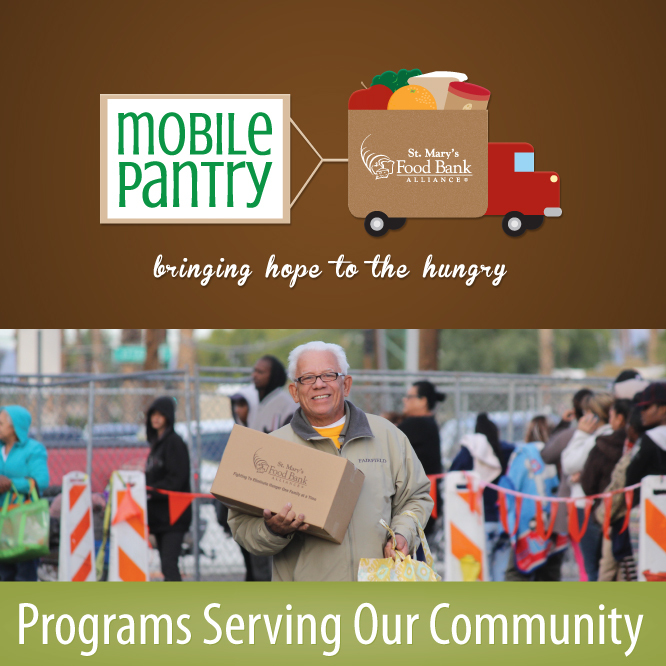 Rio Salado College is proud to partner with the Maricopa Community Colleges and St. Mary's Food Bank Alliance® to host two Mobile Pantry special events at Rio Salado Northern and Southern locations-- to distribute free fruits and vegetables to people in need. Open to the public. No identification required. You can make a difference in the lives of people in need-- and earn tax credits. Visit St. Mary's Food Bank Alliance to learn more. Together we can work to end hunger!